What FICO Score Is Considered Good Credit? 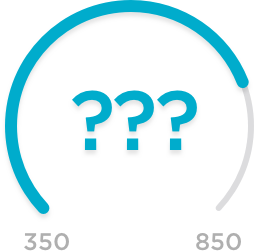 When your FICO score is 690 or above, that's considered good credit. Know the factors behind it to build your credit. For many novices to the world of credit, the first time you learn your FICO score is when you apply for a credit card and are denied. You’ll lament: Why do credit cards only go to people with good credit — and what does this FICO score mean anyway? The three-digit score is basically your credit batting average — and like in baseball, the higher the number, the better. Scores are generally from 300 to 850, and if you score a 720 or above, congratulations! You are in the credit big leagues with an excellent credit score. You won’t have any trouble getting a variety of credit cards with excellent perks and low interest rates. With a score in the 690 to 720 range, you’re considered a good credit risk — and the availability of credit will reflect that. But if your credit score is below 630, you are in the bad credit range. FICO stands for Fair Isaac Corporation, which developed this scoring system used by the three major credit reporting bureaus: TransUnion, Equifax and Experian. It has a competitor, VantageScore, that produces a similar score using the same credit report data from those three bureaus. When you are denied credit, the company that declined your application must reveal your score and the credit-reporting bureau it used. You have the right to a free copy of your credit score from the issuing company within 60 days of being denied. You also are eligible for a free annual credit report from each of the three reporting bureaus — this is a deal you should take advantage of since there will be variations between the companies. You can also monitor your credit information anytime with a free credit report summary, updated weekly, from NerdWallet. On-time payment history (35%): Always pay all of your bills — credit cards, phone, everything — on time. Nothing will bolster your credit score more than timely payments. Amount of credit used (30%): The less of your credit limit you use, the better. Keep your credit balance below 30% of your total credit line. Here, less is more: It’s even better if you can keep your balance below 10% of your credit limit. Length of credit history (15%): Time is on your side — the more that credit card companies see you handling credit, the better. Keep older credit card accounts open with minimum use to show a longer credit history. New credit applications (10%): Too many credit applications in a short period of time will drag down your score. There’s no hard rule here, but try to apply for a new credit line no more than once every six months. Kind of credit used (10%): Credit companies prefer to see a mix of credit, such as car and student loans, in addition to credit card use. A credit variety suggests that you know how to use credit responsibly. Getting a good credit score for the best credit card deals is a long game. But get a couple of years of good credit habits under your belt, and you’ll be getting big-league scores before you know it.